Thanks CF for your great service. I am very happy to inform you that I have found a person that appears very right for me. God bless you and I hope all your clients prayers are answered. I came to this site because of your Client base being predominantly Christian people and I felt that I could find a nice girl to be my Life Partner. I was extremely successful, Thank You. I am really thankful to God and in this site!! I met my special someone in this site..Thank you and God bless you!! I had friends who found their lifetime partners in your site..God bless you !!! I found someone I think is the right one for me.. Thanks for this site.. God bless..
Found the site effective not only in finding a partner, but likewise in finding new friends. Thank you and God bless! More Power! I like it because the vetting process appears to do a reasonably good job of filtering out the malicious scammer types. I like it because I have already met a number of good friends here and the chat allows a secure safe site for this to occur. I like it beause I am not getting hammered with undesireable popup ads like some other places. Thank you Christian Filipina, I have been searching for a lady for over 12 months on other sites and i found all that they want is for you to send them money. Your site I did not experience this and for that i am grateful. I have had the pleasure of meeting what I think is a genuine lady from your site so. If this relationship does not work out I will be back and I would have no hesitation in recommending your site. I have found the right one for me and we getting married soon. I found my special someone here and he is Larry. I love your site i find a new friend so I am happy with your web thank you. I have found my love now. Thank you so much. I found my husband on this site ..
First of all i would like to say thank you for this dating site cause I found my husband here and we are both happy with each other . He is the man i ever dream of .. I would like to encourage all the searchers to keep searching and have patience . I know you will find what you are seeking for . Good luck to all searchers . God has blessed me, with finding a God Fearing woman who is beautiful inside and out. She is an answer to my prayers. We are both looking forward to getting to know each other better. She is currently living in Dubai by the way of Cagayan de Oro, Philippines. I wish everybody the best in their search! Together her and I will keep FC website informed of our process. If it goes according to God’s will we might be even writing a Testimonial for your website in the future. Again Thanks FC! I have already met the One that God has in store for me, someone very special and I believe that he is already the One God has given to me, the One I want to spend the rest of my life with, with God’s grace. I thank the Lord Jesus that He used your Dating Website for the two of us to meet. I am proud and glad that I have from my soul-mate here. I have met someone that I feel could turn into a long-term relationship leading to marriage…thank you for this site, for there is a strong possibility that I have found the right woman for me. Thank you. I have met the woman here on Christian Filipina whom I feel will be my mate for the rest of my life. Thanks to CF for allowing me the opportunity to have been able to use this website and that a positive outcome was achieved. Thank you, Thank you, Thank you. God Bless. praise the lord for this site,i really appreciate every letter you send for me it gives us idea how to chatt in honest way and to know well the one we chatt,and i thank god for the wisdom also he give to know the real man i choose,i really beleive tht if you start w honesty it well really harvest a good fruit…. ly care and see to it that everything well turn in a good way…..once again thank you so much…. to God be the glory and continue to bless this site …..
God bless you all and the staff of CF. I have really enjoyed my 1 month on this site. We will let you know how it turns out. Thank you for your extra efforts. My love-sick mind is grappling with newly-found LOVE! And it’s your C-F services, of course, that I thank for my head-in-clouds `condition’!! Its my experience that very, Very FEW Other services-type company would ever go so far out-of-their-way with a customer — as you have done! I can only think of Christian-Filipina.com’s services as … More Awesome-Than-Awesome! And I’m most pleased and happy to be doing business with C-F. I Thank You here in Advance, THANKS! With Very Best Regards…. to ALL there. God is so good,He gave me the desire of my heart to find someone that can make my heart smile..a loving,caring and understanding man to be with me as i journey in this life. Someone that i can depend on,a man that i want to love for the rest of my life. I THANK GOD,I FOUND HIM HERE. Your site is great! its the best! I found the lady of my dreams! I praise CF and its owners for bringing such a great site to the Internet which is so badly needed. God bless you for it and take care……….To God Be The Glory!!! You folks are the greatest! Your site IS the PREMIER site for Asian Christian dating. Number 1 in my book and God is so pleased and honored here. I am temporarily in Helena Montana and want to go back to the islands as soon as God provides the funding to go there and then marry the woman God has for me. She will be treated as my queen…not the maid! Our home is to be a bit of heaven on Earth where the holy angels love to visit and be always welcomed as our Savior is. First of all i would like to say thank you for this dating site cause i found my husband here and we are both happy with each other . He is the man i ever dreamt of ..I would like to encourage all the searchers to keep searching and have patience . I know you will find what you are seeking for .Thank you and Godbless ! !Good luck to all searchers . All i can say is its my pleasure to be in this site.. I have my bf now from Christian Filipina. His name is Richard. I’m glad to have him. I hope and I pray you find your God’s will too. God has the perfect plan for you that you deserve the best. BTW, please pray for us. We’re planning to get married on December this year. THANK YOU CF.com. GOD BLESS YOU ALL. thanks to all the staff of CF for guiding me in all time…. I already found special someone in this site.tnx for everything CF! more power and may our mighty god bless all the members of this site…from a 32 year old woman from the Philippines. I already found the love of my life on this site. We are already engaged and soon to be married. He visits me here in the Philippines last June and proposed to me. Right now we are working on my fiance visa. Thank you so much and more power to Christian Filipina. God bless! I found my man, glory to God. Thanks christian filipina website …from a 46 year old woman from Caloocan, Philippines. I have found already my soulmate here. Thanks Christian Filipina. I absolutely have loved your website and the personal services that you provide. At this time, I believe that I have found the woman of my dreams. I found her here and we are going to try to live out our dream together. I have faith that God has brought us together with your help. I would recommend you over all other sites to God fearing people… to people who are seeking to find that someone special. Thank you and may God be with you and your wonderful site. Greetings in Jesus’ Name! I am now cancelling my membership here in Christian Filipina because I have already found my special someone and love of my life here and we are already planning for our marriage soon. I’m so thankful to the Lord Jesus for this site because through this dating website, I found the special man the Lord has for me and I’m so happy.May God bless your Christian Dating Website. May you’ll be able to help a lot of people find their soul mate and lifetime partner here. Thank you Peter and Jen! Your website is the best dating/Filipina site on the web! such a great experience being on your site and i value it so much. Am now going to cancel to cancel my account for God sent the man that’s meant for me, to be his wife. I am praying that things will work out us well, according to His will. Thank you very much for helping me out with the problems i had been reported to you that i encountered on this site. Thanks and more power to your site may you help others to find what they are looking for. First of all, I would like to thank Christian-Filipina.com for having a honest website that wasn’t trying to push items to buy or keep asking to upgrade their account like other websites. After many choices of honest woman to view their profiles so that I can email and video chat with, I have found the right and perfect woman for me. 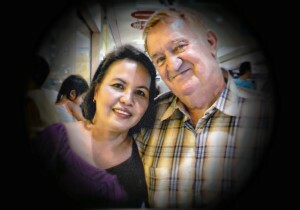 Several visits to Cebu to meet the woman I choose and we were married on June 25, 2012. I would like to post some of our wedding photos. It’s nice to see some nice people here and I am so thankful that this site would help me to find good man that match for me.. God bless and I hope I can really find man here. First of all, I would like to thank Christian-Filipina.com for having a honest website that wasn’t trying to push items to buy or keep asking to upgrade their account like other websites. After many choices of honest woman to view their profiles so that I can email and video chat with, I have found the right and perfect christian woman for me who is fun-loving and affectionate. Thank you christian-filipina.com. Several visits to Cebu to meet the woman I choose and we were married on June 25, 2012. Thank you again.I would like to post some of our wedding photos. Hi everyone i have found my special man, we already married last june 25. Like said thanks lot this site I’m so happy in my life see my pics right now we are a happy couple. Hello,hope all is well with you.I just want to thank you all Admin. As a new member of this Christian site i know i’am already blessed to have a family, though i’am still on the way to see what God has for me in this site. Thank you very much for helping me found the love of my life , your site is very , very professional and and very resourceful , I have found the woman that I love at your site , so I want to thank you so much. I met special someone on this site. I want to focus on our relationship. Thank you so much for giving us opportunity. God bless.—from a 30 year old woman from Bantayan, Cebu City Philippines. I really salute your dating website. I found my sweetheart on your website. He is also a Filipino. He do appreciate your website. Thank God for blessing me a very good man through your dating site. More power to all of you..
girl woman I MET ON THE SITE. God bless you for your site. You have a great service here, keep up the good work. Yes I pray to our Dear God that he’s the one I’m waiting for through these years. Thank you to this site.. Yes, thank you very much to your site.. We’ll let you know about this.. Thank you to God for sending me one good man from this site… Godbless to all of us.. I already found the man I will love. Thanks for this site! I want to thank you for helping me find my soul-mate. I found her right on this site her name is Luz Dayap. I wanted to cancel my membership because i already meet my Soul mate, Prayer Partner, And Life time partner. he is a God’s Blessing to me, A wonderful Man like him is God’s will to me. I am so grateful to God for having him in my Life right now. I would Like to thank you for your Blessed Website where Christian People meet Christian also. I prayed to God to bless your Website more and more. Thank you so Much for your Outstanding Website. God Bless you and Family..
CF is a most wonderful site! I have meet my honey my real love my true love…in this site thank you for this site..from a 25 year old Woman from the Philippines. In just a month i met someone, he is a very kind and nice guy, he is so serious to me. He prayed for me to answer his letters to me. I do prayed also to give me a man who is kind and religious one, our prayers were both answered. I am so thankful to this site, you are really no. 1 than other site coz i met someone who is serious to me. I hope it will go on to reality to a wedding coz its my dream. We are just in the process of knowing each other now,writing to each other and planning to our future. Thank you once again and more power to all the staff here and god bless. The Philippines and Australia are 3,600 miles apart. They have different climates, different customs and a different way of life. For David Morphett, a missionary from Adelaide, Australia, he knew his future soul mate was a Filipina woman, and one who shared his Christian faith. But how do you find someone in another part of the world that believes as you do, and wants the same things out of life that you do? The answer for David was Christian Filipina… To read the rest of the story of David and Mabel, please visit the testimonial’s complete post.